There’s a huge difference between attending a trade show and being a trade show exhibitor. If you’ve never stood on the other side of the booth, there are some things you probably don’t know about the experience. For one, a trade show can enhance your brand’s exposure. Even if people don’t stop by your booth, they’ll still see your brand name or logo. And this is something that could influence a decision down the road. There’s a powerful networking component to trade shows that brands can benefit from. Whether it’s a one-day event or a week-long show, rubbing shoulders with others in the industry gives you a more powerful network. There’s nothing like being able to communicate and engage with your target customers in a face-to-face manner. In terms of lead generation, this is like tossing gasoline onto a simmering fire: It accelerates the process and improves your chances of generating significant results. Every business will have its own trade show experience, but it’s hard to overlook these three benefits. However, if you want to increase your chances of having a successful experience, you need to be aware of what you’re getting yourself into. Try to register for a trade show as early as possible. Not only is there limited space at most events, but you’ll also find early-bird pricing. Moreover, this can be as much as 15 to 25 percent cheaper than standard pricing. Furthermore, you’ll give yourself more time to plan and invest in pre-trade-show marketing and promotion. The location of your booth at a trade show will have a direct effect on your ability to engage people. At some trade shows, most booth spaces will be created equal. However, at other shows, there’s a significant disparity between the best and worst booths. Good booths are located near restrooms, concessions, or points of entry. Bad booths are tucked away from the main avenues. Booth design is important for a number of reasons. First off, it helps you generate attention and bring people into your booth. Secondly, it allows you to articulate your branding and develop a specific emotional response. 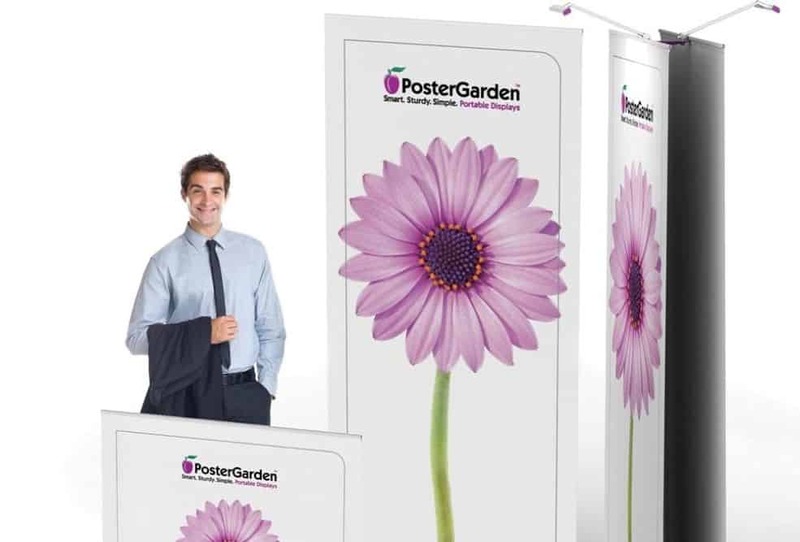 Be sure to invest in quality trade show displays so that you’re able to use them over and over again. A compelling booth located in a conspicuous area will bring people into your booth. But once they’ve shown up, you need the right reps to interact with them and start the process of qualifying and converting leads. Choose people who are gregarious, experienced, and familiar with the ins and outs of your brand. You never want someone to visit your booth, interact with your reps, and walk away without leaving you their information. Moreover, it’s impossible to generate warm leads without having a system in place for collecting data. Even if it’s as simple as a name and email address on a note card, every trade show exhibitor needs a system. Don’t spend all of your time sitting at your booth. Even if you’re interacting with prospective customers, every trade show exhibitor has additional responsibilities. So while your brand reps stay behind, go out and network with other business leaders. This is a perfect opportunity to grow your professional network and get a pulse on your industry as a whole. Trade shows may or may not be extremely effective for your business. It all depends on the industry you’re in, what your main focus is, and how your customers move through the purchase process. However, you won’t know until you try. Sign up for a trade show this year and give it your best shot. There’s a lot to like about being a trade show exhibitor! Previous articleForex Trading Robots: Are They Safe or Are They Dangerous?